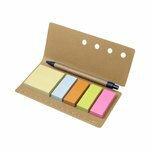 Promotional sticky notes branded with your logo are a great way to advertise your brand and provide your clients with a really useful desktop item. 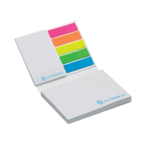 The self-adhesive strips allow individual notes to be pealed from the pad and placed onto other surfaces including papers, files, desks and monitors. 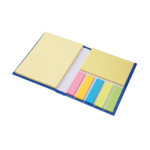 Sticky notes are a great promotional paper product and can be found in many offices whether in the commerical world or public sector including schools, colleges, libraries and universities. 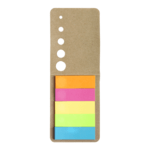 Logo sticky notes are a great way to make a quick note when in a meeting or on the phone or simply as a way to jot down a task or thought. 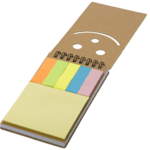 Sticky notes rely on two materials: paper and off-course the unique polymer adhesive developed by 3M in the 1960s. 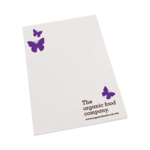 The adhesive makes the paper note pads sticky but not glued so that you can easily pull a sheet from the paper and reattach or stick it to another surface. 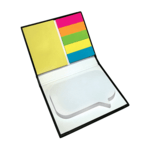 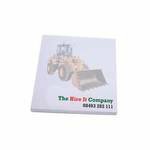 We can make sticky note pads to any size and have a standard range. 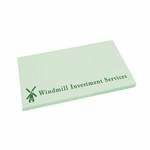 If you need a custom or bespoke shaped sticky pad then please contact us. 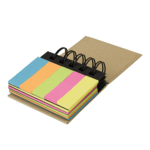 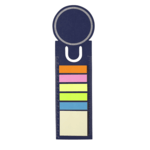 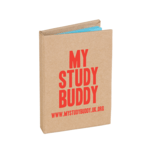 We also supply a wide range of paper colours and can include other items in bundles with your sticky note pad including pens and other useful desktop items. 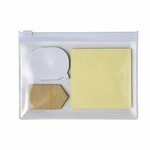 Sticky note pads are so easy to use and functional and that is there great appeal when it comes to promotional marketing campaigns. 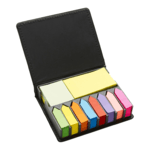 Promotional sticky notes are one of those really useful items that can be used as a super advertising platform for your brand and organisation.